Build a good relationship between landlord and tenant with these tips for good inpection practice. Although legally there are no restrictions on how often you inspect your tenanted property, and few official guidelines on what exactly your inspection should cover, here are a few good practices you can follow to build a great relationship between you and your tenants. Some Landlords (or their agents) only inspect if they suspect a problem, or each time a tenant moves out. Others inspect every month! Excessive inspection/entry requests without a very good reason (ie, tenants have proven bad behaviour, or there is a maintenance issue that legally must be addressed and requires multiple entries) can lead to a breakdown in landlord/tenant relations and even legal charges of harassment against you. 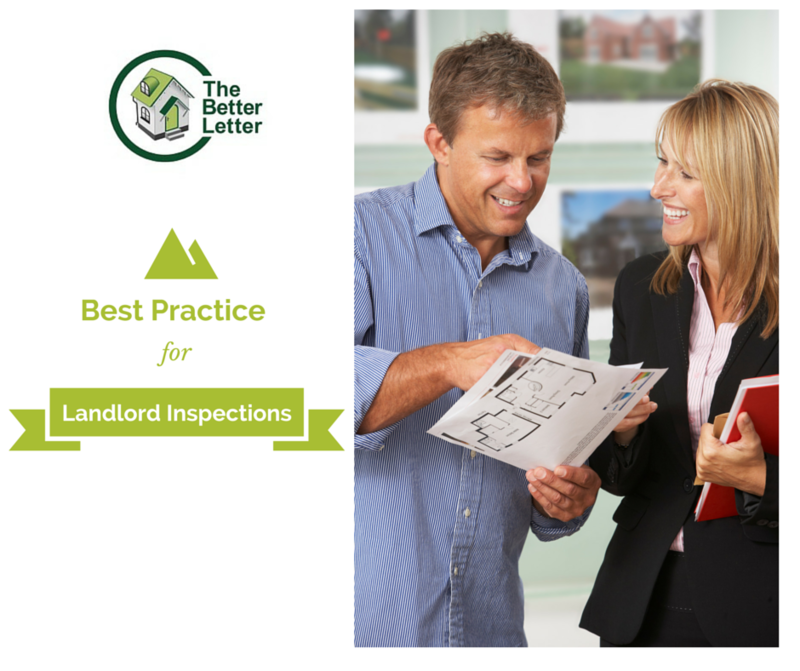 It’s normal to conduct 1-2 inspections in the first 6 months of a new tenancy and then every 6-12 months afterwards. You should always give at least 24 hours notice of any inspection and try to arrange it for a time convenient to your tenants. Find out more about where you stand legally at gov.uk. Can you insist the tenants keep the place spotless? Unfortunately no. The rental property is your tenant’s private home and although it must be clean and tidy on the day they move out, before that point it is up to them how often they clean the bathroom! Unless low standards of cleanliness are leading to damage to the fixtures and fittings (ie, staining carpets to the point they will need replacing), it’s not your concern. When you or your agent inspect the property, it is to check that no repairs are necessary, that your tenants are happy and feel any issues have been promptly and properly addressed and to ensure that tenants are not breaching the terms of their tenancy agreement (ie, subletting, keeping pets, running a business or growing illegal substances in the attic!). Landlord inspections are a good opportunity to spot any repairs needed or other things that may need attention. Some tenants may be reluctant to flag up little problems before they become major repairs! It’s also a chance for you to show that you are a responsible landlord and build a good relationship with your tenant. So follow our advice to become a Better Letter (or make sure your agent is acting as you would wish)! DIY Landlord or Letting Agent? Are you prepared to go it alone, or could you benefit from a property management service? Any quick Google search can throw up dozens of stories of rogue lettings agents with sky high and spurious fees, so if you’re new to the buy-to-let market (or one of the many ‘accidental landlords’) you could be forgiven for deciding to avoid the lot of us and manage your property yourself! At The Better Letter we provide online DIY facilities for self-managing landlords who feel confident and knowledgeable enough to find their own tenants and manage their own properties – as well as a full lettings and management service for those who prefer to leave it to the experts. 1. How close do I live to my rental property? Are you happy to conduct viewings, deal with prospective and current tenants and then be available for questions, problems and inspections over the coming months and years? Can you pop round if your tenants call with a maintenance problem? Many landlords – particularly the rising group of ‘accidental landlords’, letting properties when they’ve had to move for personal reasons – live at a considerable distance from their properties and find it more convenient for a lettings agency to manage for this reason. 2. Am I a ‘people person’? And that’s not the same as being good value at parties! Vetting tenants, as I discussed in a previous post, requires not just standard credit and reference checks, but also a good feel for people. Do you feel that you would be good at picking up on the subtle clues that a prospective tenant may not be reliable, or may not keep your home in a good condition? And would you be good at maintaining a professional distance if your tenant comes month after month with different reasons for not paying the rent in full? Or causes a nuisance to your neighbours? 3. Am I ready to run this as a business? Because essentially, that’s what a buy-to-let (or consent to lease) property is. If you are going to let and/or manage the property yourself without the support of an experienced lettings agent, then you must be prepared for the full responsibilities of that job. You’re probably prepared to meet and vet prospective tenants, but what about after they move in? If they fall behind on the rent, do you have professional assistance lined up? Have you read up on all your legal responsibilities? Will you deal with maintenance issues on an ‘as and when’ basis, or would you feel more comfortable contracting a property maintenance company to be on call? If worst comes to worst and you have a problem tenant, are you prepared to go through the necessary legal process of eviction? At The Better Letter, we have full access to credit control, legal and maintenance services. We can deal with the less pleasant aspects of letting, as well as helping you get the most out of the upside. But if after reading all this you still feel fired up about the prospect of managing your own property, find out how we can empower you with our online services, giving you great deals on everything from advertising with Rightmove to credit and inventory checks, to registering with the Deposit Protection Scheme. What's the secret to great tenant relations? For all the hype in the media about ‘rogue landlords’ and ‘nightmare tenants’, most landlord/tenant relationships run pretty smoothly. If you’re new to property letting (or even if you’re not!) 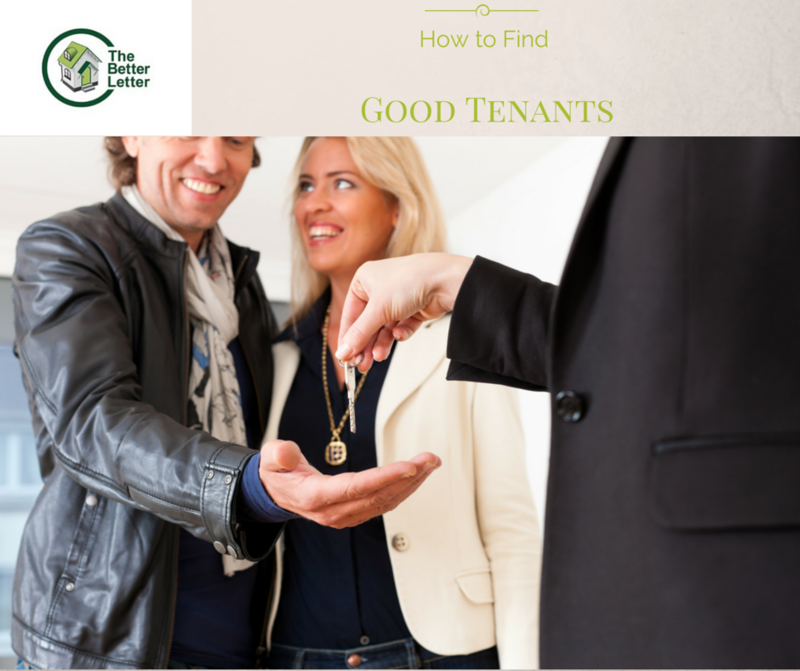 what are the key things you can do to create a good relationship with your tenant? …and make sure everyone knows what they’re signing! If you’re letting through an agent, they will already have their own form Tenancy Agreements which will contain fairly standard clauses as regards responsibilities and commitments on both sides. Make sure you have read through the agreement properly and that your tenant has too – then there’s no room for misunderstanding when it comes to issues like pets in the home, or access for inspections and repairs. Gov.uk has a great, clear breakdown of the legal responsibilities of landlords in England and Wales, so make sure you check this out. Although a good agency will appraise you of your legal responsibilities such as following fire safety regulations and getting your annual Gas Safety checks completed, it’s a good idea to find out exactly what’s required for yourself. Most tenants will avoid bothering the landlord unless they really have to, so when they do contact you to let you know something is wrong, make sure you deal with it promptly and considerately. That means getting the repairs scheduled as soon as possible, but also being considerate to your tenants wishes. As this is their private home, would they prefer to be at home when the maintenance crew arrive? Do they have to work and, if so, can you arrange for yourself or a representative to let the workers in? If you’re planning on looking after maintenance yourself, be realistic. Can you be available whenever needed, or is it worth finding a company who can be on call with contractors to take care of it for you? Take care of your tenants and – nine times out of ten – they’ll take care of you. 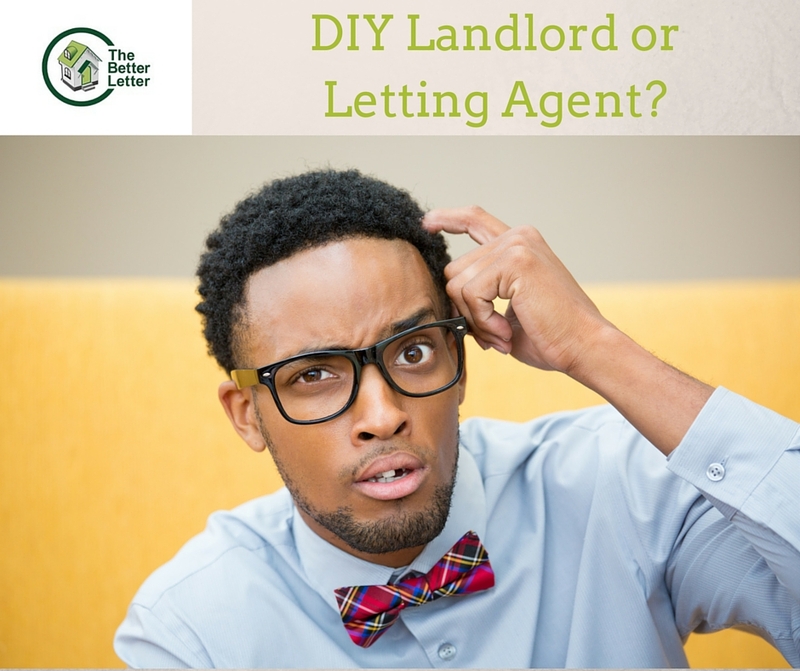 Of course all landlords want good tenants who look after the property and pay the rent on time every month – and most landlords will have a tale or two of what happens when you don’t get one! A good lettings agent can conduct all the checks that you need to ensure that your prospective tenant is solvent and reliable. Their years of experience should also have honed their instincts to pick up on some of the less obvious signals that a tenant is or is not a good bet. Retired couples: they also tend to stay for longer, they often have a long rental history that you can check and they really know how to look after a place – why do you think B&Q hire so many retirees? Not only do you want your tenants to provide good references, but do check that these references are valid (and not provided by friends and family!). Proper credit checks are another essential and – if you have any concerns (or if your tenants are new to renting and have no landlord references) you may want to request Employer References. When you’ve invested a lot in a property – both buying it and getting it ready to market – it’s tempting to want to maximise your return by letting it at the market rate. But if your property is priced high, it may lie empty for months, reducing your return massively. Look at the going rates for properties in your area and then consider knocking off £25 – your property will let quicker (therefore saving money on those empty months) and your tenant will feel they got a good deal and be more likely to stay. Is your letting agent giving you the service you deserve? Some, less reputable lettings agencies will load you up with fees before you’ve even decided that they should manage your property! A good lettings agency should as a minimum offer to view your property and offer you a clear schedule of services and fees – both mandatory and optional – giving you the chance to decide if they are the agency for you, free of charge. Many Lettings Agencies promise to carry out Inventory checks and regular inspections but how do you know that these will be carried out – especially if you live some distance from your property? 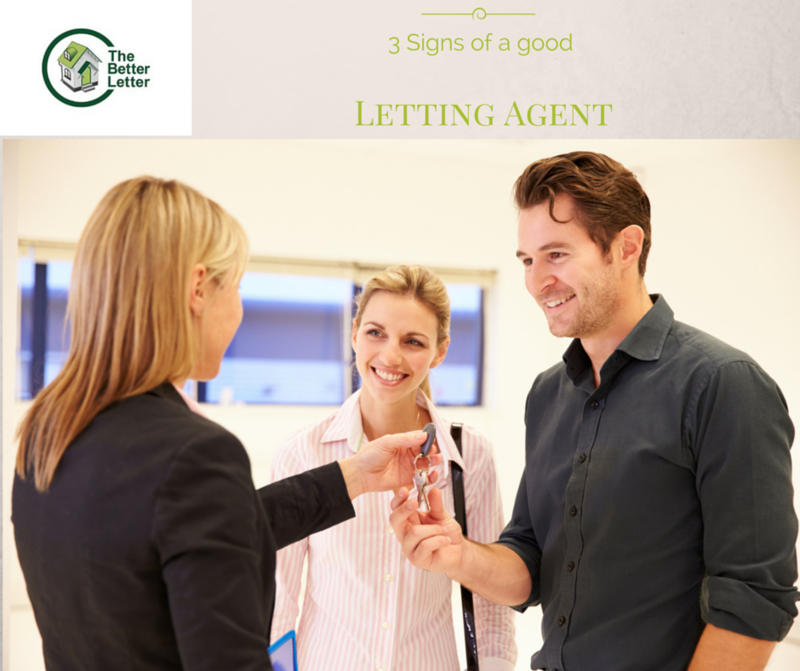 A good lettings agent will set out at the beginning of your relationship the proof that they will provide Inventory checks and inspections, ie, dated copies of Inventory lists or Inspection reports, signed by the tenant and the Agent’s representative. Legally it is up to you, the Landlord, and not your agent to ensure that your tenant’s deposit is registered with one of three Government-recognised Tenancy Deposit Schemes. However, a good Lettings Agent will take care of this registration for you. We recommend the custodial Deposit Protection Service. Unlike other, insurance-based schemes, your tenant’s deposit will be lodged independently of you or your agent until it is time to return it to the tenant, protecting you from unscrupulous agents and assuring your tenant that their deposit will not be withheld unfairly.